Founded in 1995 by two brothers in Toronto, Cryptologic Limited is one of the world's leading casino software developers. 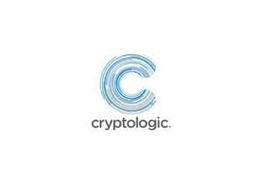 After Cryptologic launched their first online casino (InterCasino) in 1996, they also began WagerLogic, a wholly owned subsidiary that manages Cryptologic's online gaming software as well as their online payment solution, eCash. Cryptologic is certified with the Alderney Gambling Control Commission (AGCC) and meets the stringent land-based casino regulations of Isle of Man. One reason Cryptologic casino software is so popular is because they offer one of the largest selection of games available online. Cryptologic games can be downloaded to the player's personal computer or played online through a web browser. Exclusive branded slot games are a big attraction for many players, but card games, video poker, and other casino favorites are available as well. Cryptologic also develops multiplayer poker and bingo games. With more than 280 game titles currently available at most Cryptologic casinos, it may be hard to believe that the company is continuously developing new software. About 20 new games are added to the Cryptologic family each year. By partnering up with a variety of brands, including Paramount Pictures and Marvel Comics, Cryptologic can develop unique game variations based on popular movies and console games. An innovative selection of games isn't the only area where Cryptologic casinos deliver. A collection of merchant services makes it easy for online casinos and gaming sites to manage their day to day operations. Cryptologic also makes it simple for new players to register and setup their online casino accounts, providing a comprehensive list of available funding options. Both merchants and players can contact Cryptologic anytime at the toll free number should they have any questions or concerns. Bonuses, loyalty rewards, and high roller clubs are common in most Cryptologic casinos. Many Cryptologic games also offer the chance to play for rather large multilevel progressive jackpots. Rapid Fire, Millionaire's Club, and Movie Mayhem all feature worthwhile progressive jackpots. With support for several languages as well as currencies, Cryptologic is the ideal online gambling solution for players worldwide.